Pom-pom pets that will wrap around your heart……Pomsies™ are a loveable, fashionable, interactive plush pet you can take anywhere! 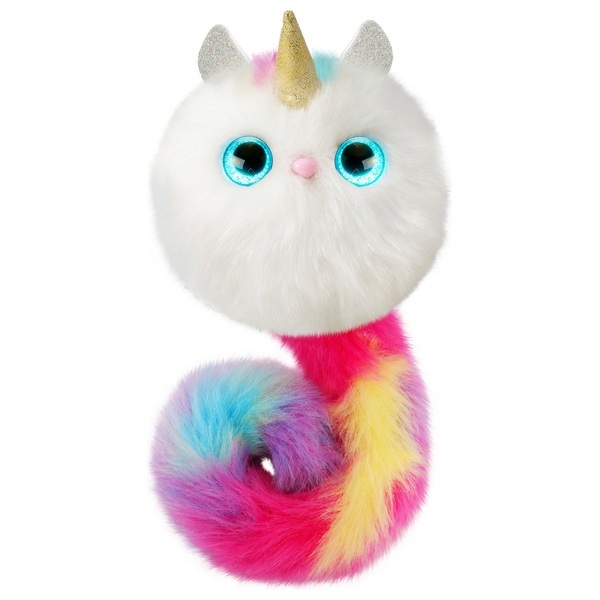 Each unique Pomsies™ pet has a soft, cuddly fur face and tail you can wrap around your wrist, hair, backpack, clothing and more. They will tell you when they are happy, sleepy, or hungry by the way they react or what colour their eyes light up with. There are up to 50 different reaction sounds only YOU can give them. A special freeze dance mode to play with you and your friends.